Fryer oil is the one of the most expensive components in food preparation, which is why our monitoring system is crucial in protecting your bottom line. Better cost management coupled with enhanced quality control are key to keeping your kitchen thriving. You know that filtering oil is a necessity. But how can you ensure true consistency across all your locations every day? Your customers expect great food from your restaurant. And whether it’s the first time or the fiftieth, the meals you serve should have consistent flavor and quality. The best way to ensure these standards stay high is to implement regular fryer filtration practices. A standard filtration schedule removes contaminants that can affect the color, taste and smell of your food. It also leaves your customers satisfied time and time again. Our online, subscription-based Filtration Monitoring system tracks both frequency and duration of filtration activities. Any deviation from the standard schedule will prompt an email alert, ensuring that you are constantly aware what’s going on. We know that fryer oil is the one of the most expensive components in food preparation, which is why our monitoring system is crucial in protecting your bottom line. Better cost management coupled with enhanced quality control are key to keeping your kitchen thriving. Whether it’s the first time or the fiftieth, the meals you serve should have consistent flavor and quality. The best way to ensure these standards stay high is to implement regular fryer filtration practices. A standard filtration schedule removes contaminants that can affect the color, taste, and smell of your food. Our Fryer Filtration Monitoring system tracks both frequency and duration of filtration activities. Access to your custom web portal is included and shows details such as actual filtration start and stop times. This will help you spot and react to trends in your organization’s oil management practices to enhance your quality control and employee training. Implementing proper filtration helps ensure reliable quality and allows you to avoid unnecessary oil changes. With our Filtration Monitoring system, proprietary sensors are placed inside your fryers. We then configure the system to match your filtration standard operating procedures. We handle all the details and maintenance with no disruption to your operations. Filtration noncompliance alerts are sent when a location has not followed standard operating procedures. This real-time reporting helps operators quickly take appropriate action before customer experience is affected. You worked hard to make sure your recipes are perfect and taste great. We work hard to make sure the flavors you intended shine through. Manual disposal results in waste and downtime for your staff. We ensure your kitchen runs at optimal efficiency. Don't get burned by your oil management. 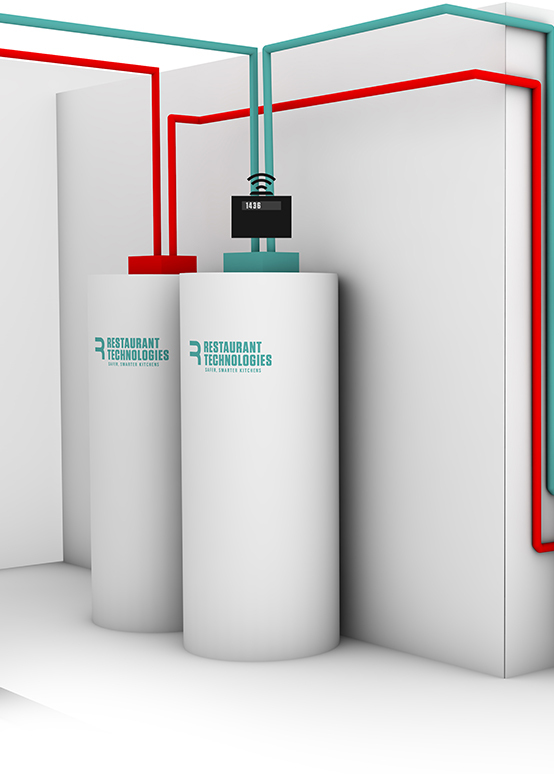 Restaurant Technologies takes oil management out of your hands, keeping your employees safe and reducing your liability. It's more than good food. You have to do good, too. We'll help lower your environmental footprint and make a positive impact your employees and customers will notice.